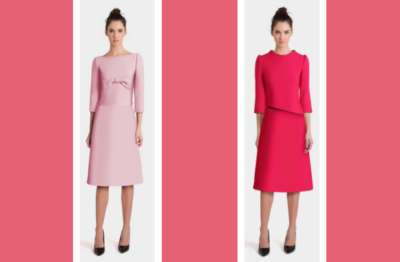 Modern romance is in the air with Valentine’s day approaching soon.. What is your style to wear to work on Valentine’s day? Do you prefer an icy pink for a more modern playful look or a raspberry pink for a feminine classic style or a lilac shade for a modern retro feel or is it a fuchsia shade for a modern chic? We have it all and best of all you can choose your style. Posted on Monday, January 28th, 2019 at 6:56 pm in Looks, News. You can follow any responses to this entry through the RSS 2.0 feed. Both comments and pings are currently closed.